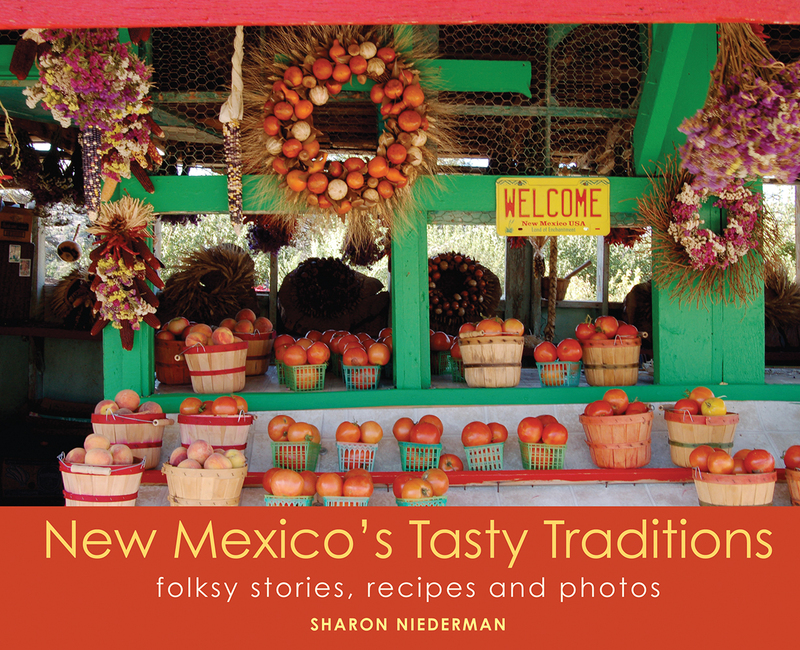 New Mexico's Tasty Traditions: Folksy Stories, Recipes and Photos provides an armchair tour of kitchens, fields, festivals, and farmers' markets through the eyes of veteran food-travel writer Sharon Niederman. Come along to the cakewalk at the Colfax County Fair, forage for chokecherries along the Cimarrón River, cook dutch-oven stew with cowboys, make enchiladas with Chimayó chile, and bake oven bread in a Pueblo horno. Sample tasty pastries in Pie Town and spice up your life at the Hatch Chile Festival. Learn to prepare latkes, potica bread, and other ethnic specialties that make New Mexico cuisine so diverse. Discover how urbanites are turning their yards into productive gardens, even in the middle of busy Albuquerque neighborhoods. Niederman's colorful photographs and lively tales showcase the authentic people and places that reveal the state's varied and venerable culinary roots. New Mexico's Tasty Traditions is a gift to treasure--for your own kitchen bookshelf or for anyone you know who loves New Mexico. Award-winning author and photographer Sharon Niederman has written about the state for more than twenty-five years, authoring and photographing ten books on New Mexico history, culture, cuisine, art, and travel. She teaches writing and Southwest literature and directs the Writing Center at Trinidad State Junior College in Colorado. She lives in Raton with her husband and two dogs.